Written by a remarkable editorial team consisting of civilian, airline, and military pilots, flight instructors, professors, FAA representatives, and industry leaders, this is the textbook trusted by leading universities worldwide. The logical organization makes it equally effective as a home-study text. This book is a great reference. Pros: Easy to find info . Not a lot of fluff. Review: I recently retired and have been considering a return to flying. It has been 33 years since I received my commercial license/instrument rating and 30 since I have flown; I knew a lot had changed. I found this book to be an excellent review of aerodynamics, weather, FARs, airspace (which has changed quite a bit, flight planning, navigation, etc. The review questions at the end of each chapter were extensive and thoroughly covered the subjects; the answer section always clarified the reasoning for the answer. Pilots still need to know the basics. Review: Great book....every pilot should read this. 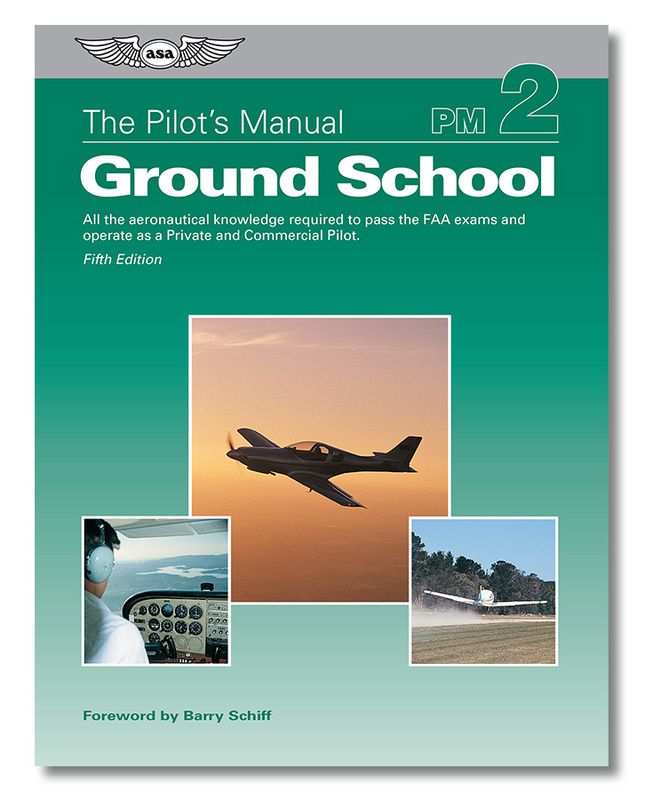 I believe the ground school book should be consulted on a routine basis especially for weekend pilots. Just because you passed ground school years ago, it doesn't mean you still retain the knowledge. Be smart and read the basics. It could save your life!